A linguistic tour-de-force that traverses cultural, psychological, and international boundaries. Eleanor Goodman navigates between worlds, from a parent's cancer in Ohio to Hong Kong's Tolo Harbor to migrant workers in China. These poems are snapshots of daily life as lived and considered, moments of elegy and rejoicing. Goodman won the 2015 Lucien Stryk Prize and was shortlisted for the Griffin Poetry Prize for her translations of Chinese poetry. Eleanor Goodman is a Research Associate at the Fairbank Center at Harvard University, and spent a year at Peking University on a Fulbright Fellowship. She has been an artist in residence at the American Academy in Rome and was awarded a Henry Luce Fellowship from the Vermont Studio Center. Her poetry has been published in journals such as Drunken Boat, Cha, Mantis, Terrain.org, The Best American Poetry blog, and Pedestal Magazine, and been nominated for a Pushcart Prize. Her book of translations, Something Crosses My Mind: Selected Poems of Wang Xiaoni (Zephyr Press, 2014) was the recipient of a 2013 PEN/Heim Translation Grant and winner of the 2015 Lucien Stryk Prize. The book was also shortlisted for the International Griffin Prize. 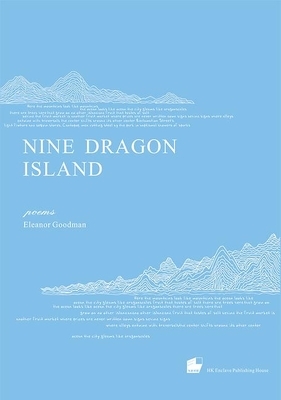 Nine Dragon Island was a finalist for the Drunken Boat First Book Prize.